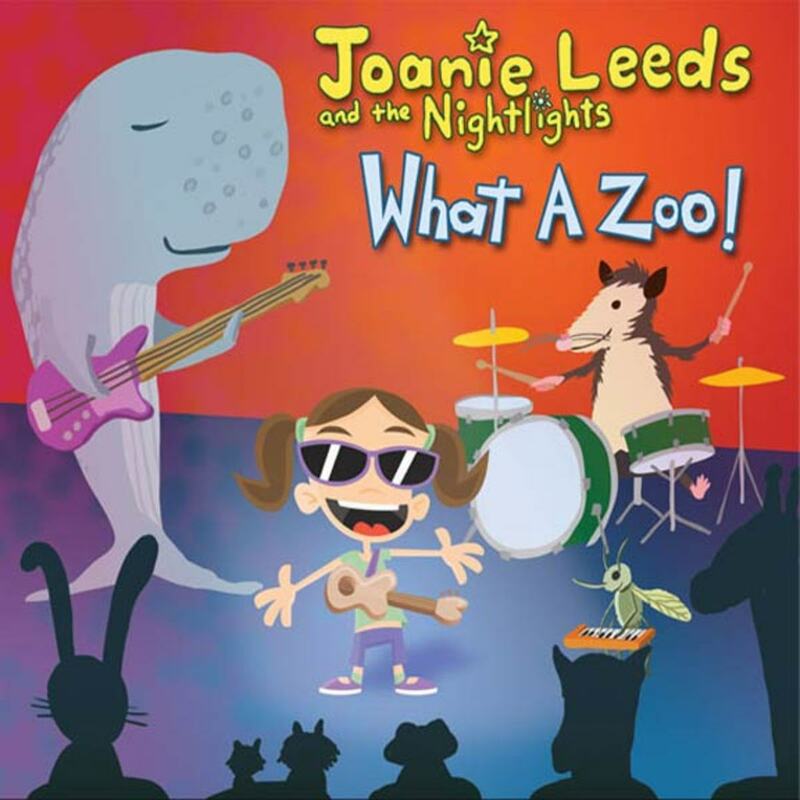 A successful children&apos;s entertainer, a talented performer, teacher, and all around music-enthusiast, Joanie Leeds is the pipes of the wildly popular title band Joanie Leeds and the Nightlights. We got to get to know her, and here&apos;s what we discovered: Her favorite board game is Scrabble and her favorite book is Tuck Everlasting. But trust us when we say, there&apos;s a lot more to this musical maven. Read on for the full interview. MandyoFish-Where did you grow up? And have did you have any childhood inspirations? Joanie Leeds-I was born and raised in Miami Florida and at a very young age felt destined to be Broadway bound. MF-You went to school for musical theater, do you think you&apos;ll ever return to the stage for a run on Broadway? JL-Well after much trial and error in the real world as far as jobs are concerned I believe I found my calling in Kids Music. I could see myself being on the stage one day later in life but for now, I am loving performing for the kids. It&apos;s not really that different. I treat each performance as a stage show. The only difference is I don&apos;t have to memorize lines which of course is a bonus! MF-What do you like best about writing/playing for kids? And what made you decide to get into the Kiddie-rock scene? JL-When I graduated college after abandoning the musical theater career, I immediately began playing my tunes in bars and clubs in NYC. After many years of a slow singer/songwriter career and working various awful day jobs to get by, I decided that I would get a job where I could sing all day. A friend recommended Gymboree Play and Music and from there I realized my connection with kids. Seeing how they respond to music stopped me in my tracks and nothing else made sense. This is what I wanted to do, sing for kids! Since I was already writing hundreds of songs, switching gears to write for kids was easy and I honestly have more fun with it that writing "grown up" music. I absolutely love how kids respond to music in an honest and sincere way. MF-Since you&apos;re not just a children&apos;s entertainer (you&apos;ve got your other musical ventures and the children&apos;s book) how do you balance out your life for other things? Ie, family, other interests, etc.? JL-I have NO IDEA! Ha! My friends laugh at me because I like to plan everything way in advance. Since my booking for concerts are currently going into December 2011 (its only April right now) I am always thinking ahead since my mind is already there for work purposes. Most of my family lives in Miami and most of my friends are in LA, Nashville and DC, I plan trips around gigs as much as possible to visit everyone. I teach music at several nursery schools and they get lengthy vacations which also allow me time to get away. I love to travel and it&apos;s very important to me to take at least one or two trips out of the country a year. It keeps me sane and grounded. MF-Speaking of the book, can you tell me a little more about what&apos;s happening there? JL-For now, the book is on hold. 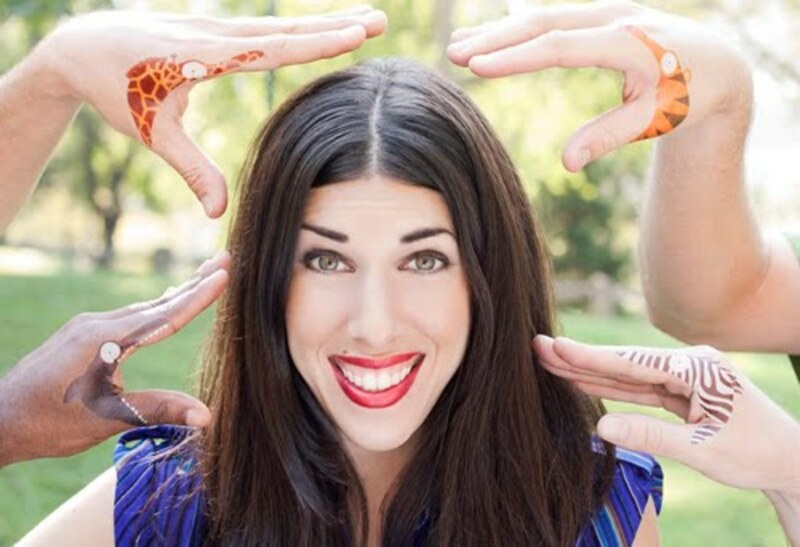 I was working with an incredible co-writer in LA but my new album What A Zoo and the project I am producing with Grammy Award Nominated Producer Tor Hyams- A World of Happiness for Autism are keeping me very busy at the moment. It&apos;s been my dream for many years to transfer my song lyrics to the pages of a picture book and still intend to do so. Many of my original tunes have lyrics and visuals that would be perfect for books! MF-Have you ever had any memorable one on ones with your fans? JL-I&apos;ve been so lucky to live in a neighborhood where I bump into fans every day. Many of the kids I teach go to my concerts and it&apos;s so adorable to see them dancing with their families. I love giving hugs after my shows and bumping into kids at my favorite UWS diner. I often have kids come up and say hi with their moms and dads and it&apos;s the best! The most memorable thing I can think of at the moment was a child gave out shirts at his birthday party as party favors. Each shirt had a picture of him and I scanned on the shirt. On the back, it looked like a ticket and said "Joanie Leeds Concert" It was hilarious! I can&apos;t possibly pick. Honestly I have no idea! At this very moment I&apos;m listening to &apos;I Want You&apos; (She&apos;s So Heavy) by The Beatles and that is a fantastic tune! Neither. I&apos;m into a few Reality TV shows though.